Let’s discuss the New Jersey turn signal law. New Jersey’s rules regarding signaling before starting, turning or stopping require a driver to give an appropriate signal before turning. Not only does the rule require a NJ driver to use their turn signal one-hundred (100) feet before a turn, N.J.S.A. 39:4-126 also prohibits a vehicle from turning left, right, forward or back until such movement can be made with safety. While the NJ signaling before turning rule may seem simple, the consequences of being found guilty for failing to signal results in two (2) points towards your driving record. Thus, it is important to know the rule and abide by the rule. Over the past 35 years, our law firm has represented hundreds of clients who received New Jersey traffic tickets, including for failure to signal before starting, turning or stopping. Some of these traffic violations, i.e., failing to signal before starting, turning or stopping (N.J.S.A. 39:4-126), involve the imposition of motor vehicle driving points, payment of fines, surcharges and costs. Of the penalties, the most typical concern centers around the imposition of motor vehicle points because points can lead to an increase in automobile insurance premiums and, if points accrue to the threshold, they can result in the suspension of your driver’s license. Accordingly, it is important to speak with an attorney before you plead guilty to any motor vehicle violation. 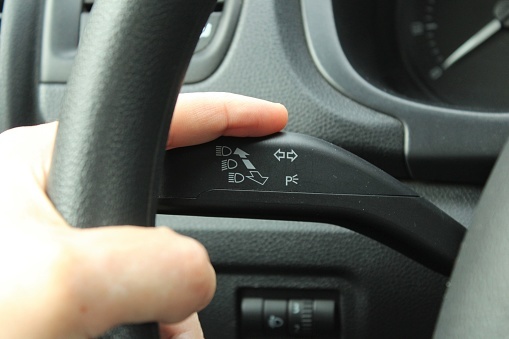 A person convicted of a failure to give proper signal in New Jersey is subject to a fine of $85.00 and is subject to two (2) motor vehicle penalty points for a first offense. Our attorneys can discuss your options, as well as, appear with you in municipal court. Due to the potential penalties for a traffic violation or ticket, you may incur fines, points on your driver’s license record, surcharges and costs, all of which are reasons to speak with an experienced attorney in handling these matters.